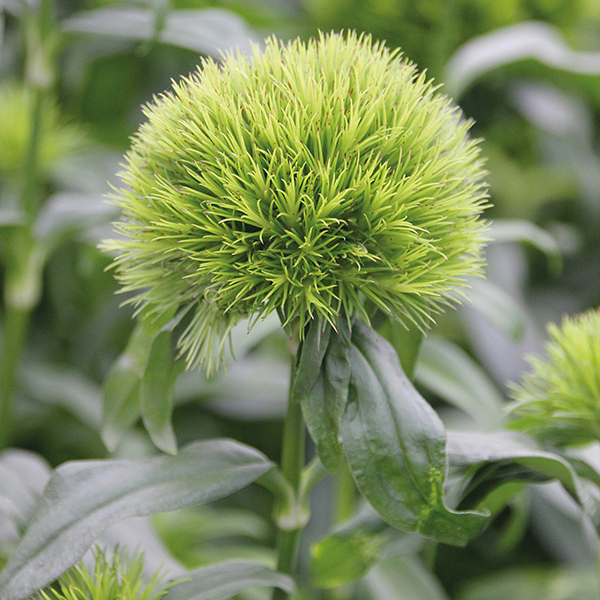 Very popular amongst florists, Green Magma is the very latest ‘green’ type to come to the market and is quite spectacular! A non-petalled flowering form of Sweet Williams, the bright green pompom-like heads are flushed with red at the tips, making it a striking addition to any flower arrangement. Ideal for adding to a sunny, well-drained herbaceous border.